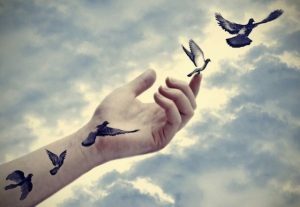 Have you ever thought of a question – “What is freedom?”. Are you free? I bet you answered the question “you, of course, I am free”, but are you really free? In order to be truly free, first, you need to understand what freedom actually is. You need to see it, feel it and want it in order to get it. And now you say – okay, I need to understand more about the freedom. You want to learn more about it. So what you do? You start looking for information about freedom. You start reading books about freedom, watching movies, looking up the word “freedom” in new and old dictionaries, hoping to find out one true definition of freedom. But what you find is quite confusing. You read all these definitions about what freedom actually is, how to get it, you see all these tips online on how to be really free, yet it’s not helping at all to understand what freedom really is. Well, let me tell you a story about somebody we all know. It’s about a kid. A kid who is playing in the backyard. A kid who is kicking the ball with his feet, hands, head. Throwing the ball wherever he wants. No worries, no negative thought or anxiety, no rules. He is not worried about how he is supported to kick the ball, where he is supposed to throw it or how many times he is supposed to throw it to prove he is worthy. That kid is truly free. But now you ask – but what happened next? How did I lose my freedom? And, most importantly, how do I get it back?Well, I’m not here to tell you how you can earn your freedom back. Not that I don’t want to tell you, it’s just that I can’t. And nobody can. There is only one person who can tell you how you can do it, and that person is you yourself. But I’m here to help you do it. You ask how? My answer is – by showing you those who already got their freedom back. There are as many freedom types in the world as many people there are. Yet, there will be so many people in this world who will try to tell you which type of freedom is yours, which one will make you the happiest and which one will make your life a living hell. But the real freedom is in finding your own type of freedom, not taking somebody else’s and pretending it is yours. So, to help you find your own freedom, I created a photo book. In this book, I wanted to show you what freedom and free people look like in my mind. To do so, I decided to use real life people, real life faces, real life lightning and most importantly, real life freedom. Of course it is your choice if you want to look at the photographs of so called “professional photographers” They have the best models in the world, the best-adjusted lightning out there, they use the best photo cameras, they shoot in the best studios with the best makeup artists and retouchers, and they do make beautiful post-editing photos, but I think the last thing you can see in these photos is the freedom. Why? Because those models always try to be somebody else on these photos, not themselves. And people around them do their best to make them look like somebody else, somebody who is perfect. And what happens is – the real freedom of those people fades always behind the artificial lighting, fancy makeup, brand clothes and 5 hours of reattachment. In my book and photos, I wanted to show real people in real life situations, and I wanted you to see, feel and appreciate their freedom. Because I think that is the only way I can show you how to find your own freedom. And, perhaps, simply because of that, while taking those photos and creating this book for you, I found my own type of freedom. Men in Black & White is not for everyone. You may not think it’s worth it, but a small move can change your life, literally. The book is available for just $18, you can get it via Kickstarter. Check the link below for latest pricing, early bird discount, and availability.